For over 200 years, Jane Austen's Mr. Darcy has captivated readers' imaginations as the ultimate catch. Rich. Powerful. Noble. Handsome. And yet, as Miss Austen's Pride and Prejudice is established through Elizabeth Bennet's fine eyes, how are we to know his mind? How does Darcy progress from "she is tolerable: but not handsome enough to tempt me" to "I thought only of you"? Just as the title of this review says, a whole book of Darcy. A collection of stories from the perspective of one of the most crushed on man (who cares that he is fictional) of all time, Fitzwilliam Darcy. The stories are set in a variety of times and places. Some put events of Jane Austen's original story into Darcy's perspective, or continued the story after they were married. There were a couple that set it in different historical time periods like the Wild West & WWII. There were a few modern retellings, and one completely fantastical story. I loved most of them. There were a couple I didn't care for, but on three whole really well done. The reader had a great voice, and made all the different Darcy's sound so luscious. This is a collection of 15 short stories, all told from the point of view of the alluringly enigmatic Mr. Darcy. Some of them are alternate stories told from Darcy's point of view, but most are variations that completely change the story. Half of them are Regency era, and the other half run the gamut from the Wild West, to WWII, to modern day. There are no really graphic scenes, just a little steaminess. Each story runs about 45 minutes to an hour and a half, perfect for a little taste of Darcy. I don't think I can rave about this collection enough! I listened to the whole thing straight through, but it can be enjoyed in little bite-sized pieces. 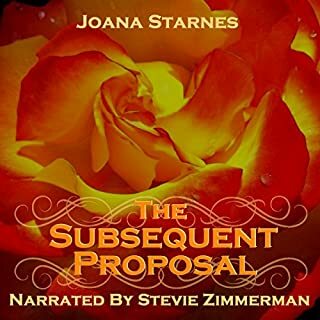 Joana Starnes and Caitlin Williams are both favorite authors of mine, but I'm always looking for new authors to try. This collection is perfect for that. I really hope there's another anthology in the works, it was such a pleasure! I honestly couldn't pick a favorite story, but a few of them stand out as I write this. I absolutely loved Beast of Pemberley, a wonderful and surprising P and P and Beauty and the Beast mashup. From the Ashes had me laughing out loud, and it still makes me smile to imagine poor befuddled Darcy writing out his letter. Without Affection tugged my heartstrings, and The Ride Home had me fanning my face. The stories never got boring, or confusing, each one is so different and wonderful in its own way. The narration was really well done, it was a great immersive performance. I'm used to female narrators for Pride and Prejudice variations, but Harry Frost was the perfect person to narrate for Darcy. I requested a copy of the audiobook, and I'm voluntarily leaving a review. The whole book was an awesome listen, start to finish, and I'd 100% recommend it. A delight for Regency fans! This was SO MUCH FUN! The different Darcy's gave a marvelous variety of his point of view. From the Ashes was my favorite traditional story. A drunken Darcy scribbling and rescribbling a letter to Elizabeth. I saw a sodden Colin Firth in my head as I listened. Much to my surprise, my other favorites were the stories set in the U.S. All were well-written and I enjoyed the shorter length of each. Harry Frost is now rivaling Nicholas Boulton for me in narration. And that is a hard voice to compete with. But Frost pulled me in from the sample and now I can't wait to hear what he performs next. His voice washes over you and puts naughty thoughts in your head! Overall, excellent and well-worth the money! First, let me say the narration is perfect. 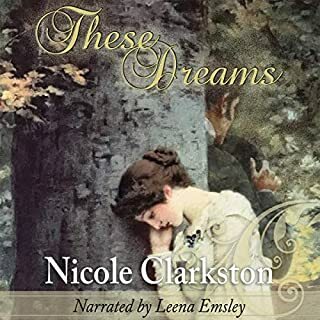 When listening to Jane Austen retellings, who would want to listen to anyone other than a British storyteller who sounds like Mr. Darcy (think Colin Firth). Each story is different with its own take on the timeless literary classic. I enjoyed every spoken word! The narrator is absolutely fabulous! After listening to all these Darcy s , I will read them all next! Give yourself a treat and immerse yourself in all ages, types of Darcy!! Made me fall for Darcy all over again! All the heart eyes for this fun collection of stories about beloved Mr. Darcy. I loved the ones set back in the original era the most, but the modern day ones were still fun. The narrator was fantastic! 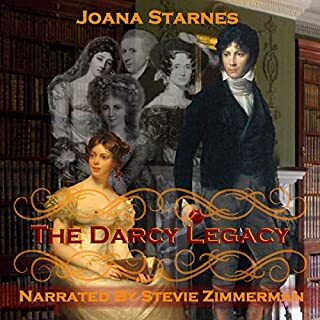 The Darcy Monologues is a collection of short stories told by a group of amazing JAFF authors, all starring our beloved Mr. Darcy. There was a fantastic selection of stories, the book divided into two eras—Regency and Other. 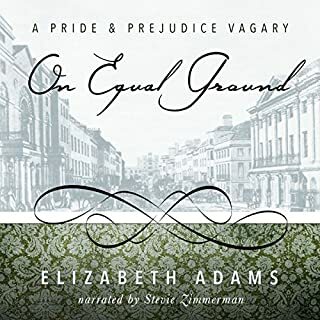 I've mentioned this in my more in-depth review of the book, "each author perfectly highlighted the Mr. Darcy every romance fan grew to love—a gentleman, a dedicated brother, a good friend and a devoted lover. A good and honest man." I will not summarize all of the stories because there are too many, but will say if you like Pride and Prejudice and have ever wondered what really made Mr. Darcy "tick", THIS is the book for you! This group of authors captured Darcy's character, thought process, passions, and values perfectly. It is one of the best collections of short stories I have read. Harry Frost's narration and take on both Darcy and the other characters made this book so enjoyable! I will listen to more of Mr. Frost's narrations! This book was given to me and I voluntarily am leaving this honest review. 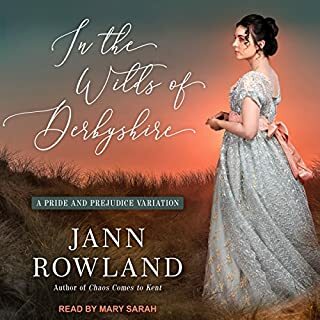 If you’re a fan of Pride & Prejudice and you always wanted a little more insight into Darcy, you will love this collection of stories. I loved them all and brilliantly narrated by Harry Frost. 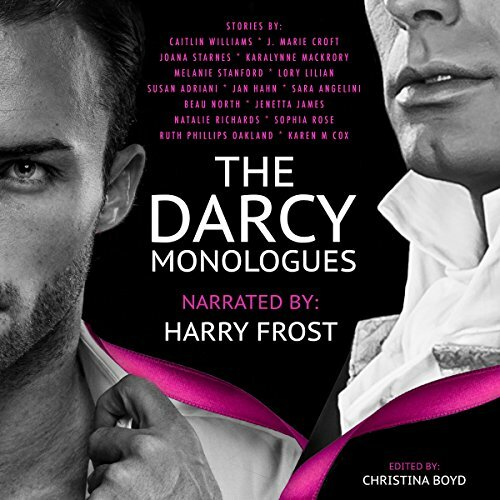 The Darcy Monologues is a wonderful anthology and Harry Frost does a wonderful job of bringing all these Darcys to life. Whether set in Jane Austen’s time, the current time or any time in between we find a new and interesting iteration of Mr Darcy. At times he’s the strong stoic man we first meet in Pride and Prejudice. At other times he’s smitten and unsure how to act. Every time Harry gets it right with his tone, pace and emotion. Where to start? Well, none of the authors in this anthology are familiar to me so I had no idea what to expect. I enjoyed each story and was keenly listening to words and situations from the book. All the authors have done an excellent job with their take on the inner thoughts of Mr Darcy. The highlights for me were Death of a Bachelor by Caitlin Williams. The crisp, tight prose was a delight to listen to. Being inside Darcy’s mind was a novel experience and I really enjoyed listening to his thoughts and feelings. For its humour and biting sarcasm, From the Ashes by J. Marie Croft deserves a mention. Darcy’s thoughts as he labours over his letter to Elizabeth is very clever. And lastly, The Ride Home by Ruth Phillips Oakland has some laugh out loud moments as Darcy contends with a drunk Elizabeth. None of the stories are long, so it’s the perfect anthology when you want to dip into Mr. Darcy’s world for a short time. Harry Frost's narration is absolutely perfect for Darcy and this compilation has something for everyone. I usually only like variations that are set in the original time period (and more than half the stories in this collection are) but I thoroughly enjoyed the whole collection. Darcy's voice remains true regardless of the circumstances. While there are stories I liked better than others, there aren't any that I didn't like, which is almost unheard of in such a large collection! Snapshots that will tingle your senses! Yes! It's fun! It's a lovely angle into each and every scene of Pride and Prejudice that left you hankering for more. Because P&P is amazing, I was already a fan, but this gives you the opportunity to see a lot of stories from his side, which Austen did not include. What about Harry Frost’s performance did you like? His voice is just yum. Deep and gravelly and still room for emotion and intonation without feeling like acting.